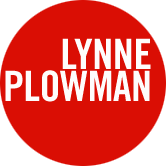 Six composers will be selected to develop their writing for chamber ensemble over a series of intensive Sunday workshops with tuition and development work given by Lynne Plowman. These include a session on ‘rehearsing and conducting your work with ensemble’ by Wales-based New Music conductor Michael Rafferty. Student’s pieces will be workshopped by the Berkeley Ensemble which will make a studio recording of each and give their premieres at the project’s final concert at Cardiff University. The recordings may be released by Tŷ Cerdd Records and (where composers’ publishing rights/deals allow) also published by Tŷ Cerdd.